Highland Park The Light – 17yo 52,9%! Dear friends, followers and supporters alike! 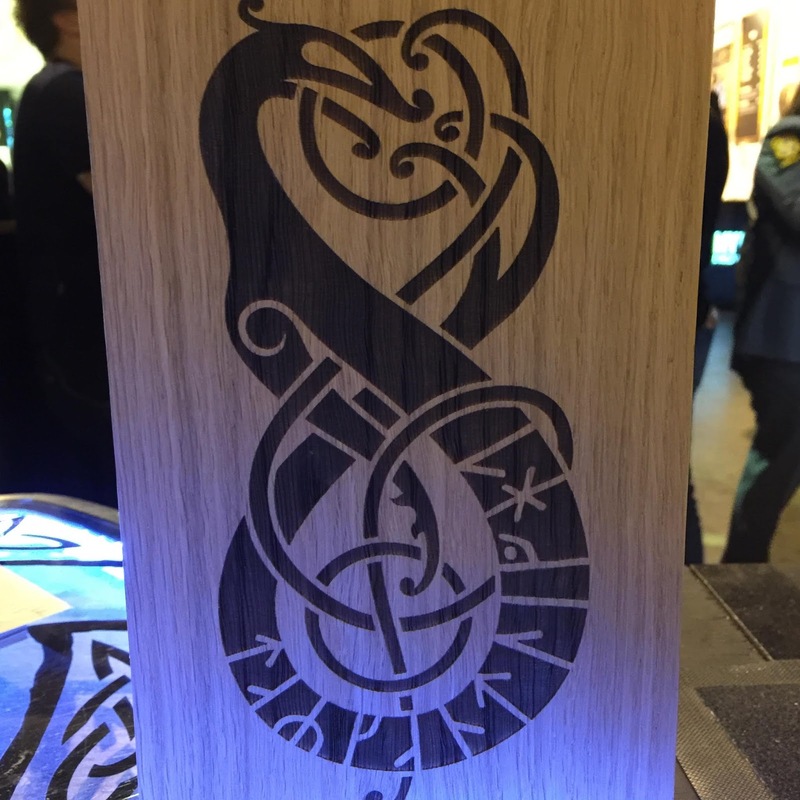 The past two weekends I had the great pleasure to work the Stockholm Beer & Whiskyfestival, as always, working for Edrington Sweden. It was really great to be back at the festival in Stockholm, a festival that I haven't had the opportunity to make it to since 2012. But now that I live in the capital, it was definitely a must for sure. 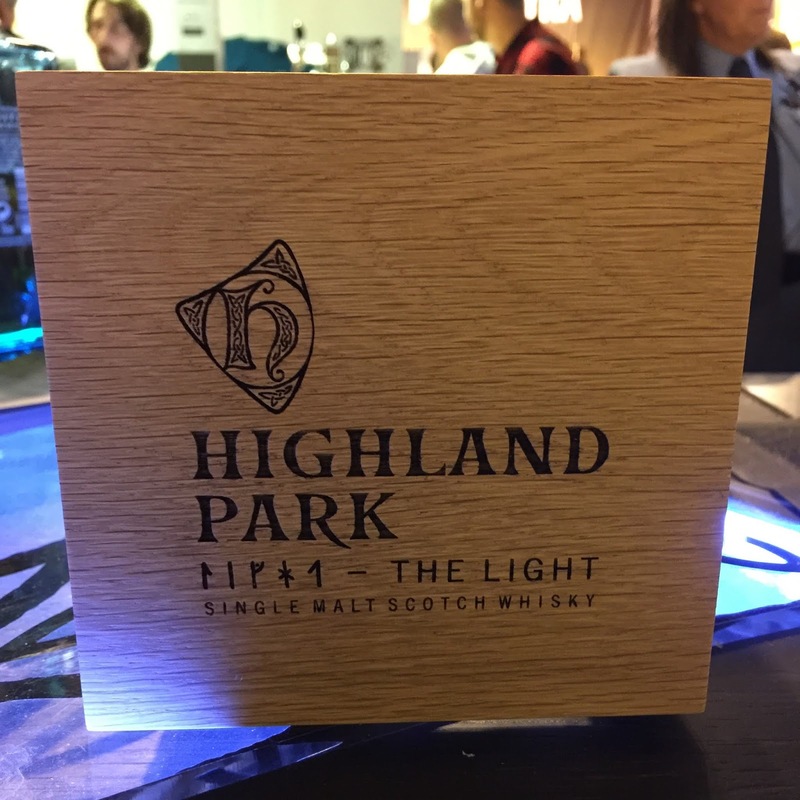 Anyway, the nice people at Edrington gave me permission to sample some of their upcoming releases, one of them being Highland Park The Light! Aaaah, fresh, lively and ”excotic”! The top layer holds soft banana candy (the swedish candy bananskum on the spot) intermingling with very soft vanilla/fudge. Below that I find yellow kiwi, yellow pear, satsuma peal, peach-candy, and sunwarm overripe green gooseberries. Stirring the glass the excotic fruityness goes on and on and on… yeah, this is really fruity folks! In terms of the fruityness The Light is quite similar in style to ICE, but with the difference being that The Light is much more soft; delicate and calm. In the final layer (the deepest one) I find a very light/fragile and fleeting peatyness that draws mostly on farmyard and hay, and in the very distant on anise (not quite liquorice) and almondpaste. Ok let’s taste! I definitely expected this to have a fruity start, but, the nose is betraying. Instead it opens up on vanilla sweetness, vanilla cream, melted butter, and Werther’s Original/toffee caramel (by the way, no sign whatsoever of the high strength). This goes on for quite some time (say 4-5 seconds) only to be abruptly interrupted at first by sea-salt and then by a big oak-y-ness (there is something green going on in the oak, not herbs, but something else that I can’t quite put my finger on…). Then I get a medium-bodied peatyness which quite quickly evolves into dryness and white half-boiled asparagus. The aftertaste definitely holds banana-peal and some quite heavy bitter almond. 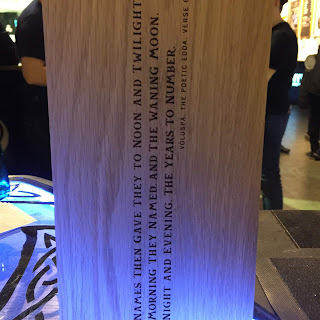 Well folks, considering that the two-part series of The Dark and The Light is all about contrasts, the people at Highland Park have definitely managed to achieve just that with the difference between the first and the latter; as we know The Dark is matured completely in first-fill european oak sherry casks, and the Light is nothing at all like The Dark. The refill american oak casks used for The Light simply must predominantly be bourbon casks. I can draw no other conclusion from my notes on the nose, nor on the taste. 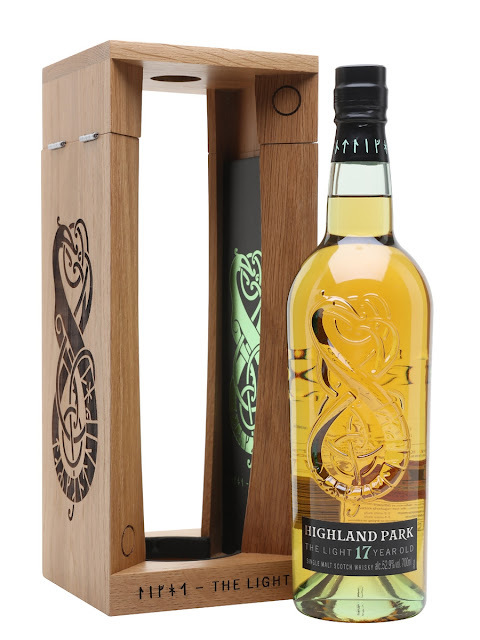 As mentioned, the high strength is not noticeable, and no matter whether this is taken into consideration or not, this dram sure is soft, delicate and calm on the nose, and the taste gives you quite a flavorsome journey indeed. Finally a remark (or rather a hopeful wish): I do find bourbon cask matured Highland Parks to be highly interesting, and it’s great fun that the distillery has released more and more of this maturation as limited editions. But, given the high quality of these editions, maybe it’s time to do a permanent release?! Yes please! Big thanks to the people at Edrington Sweden for the opportunity to try this release, and to be able to review it before the launch. Please make sure to follow my FB-page by clicking here, my instagram by clicking here, and my twitter-page by clicking here. 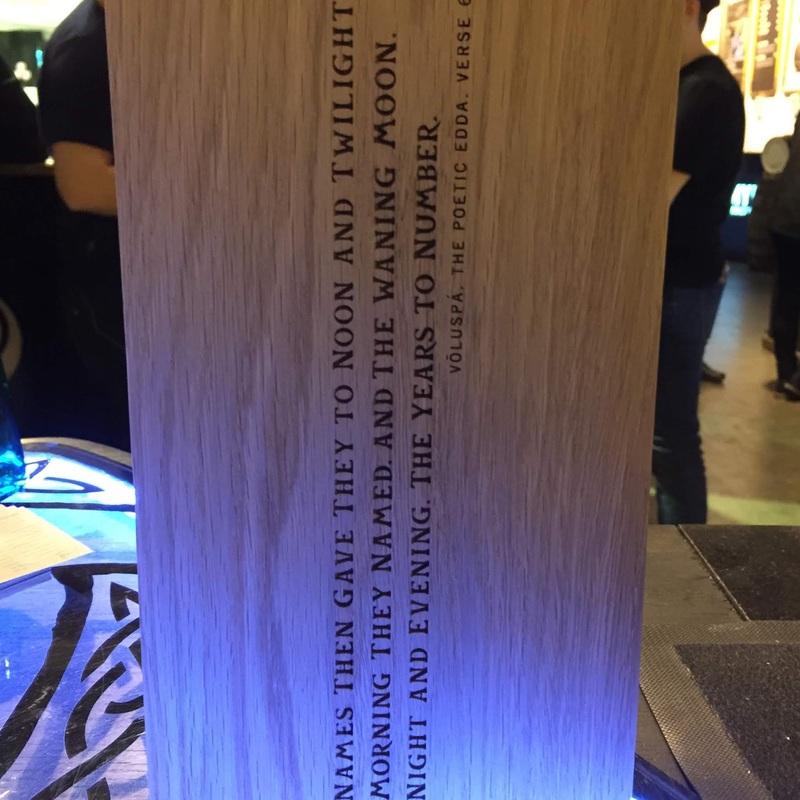 Copyright © and All Rights Reserved on all tasting notes and text by SamuelWhisky and pictures likewise belong to SamuelWhisky, unless stated. If you would like to use any such material that belongs to SamuelWhisky or associated with SamuelWhisky, please ask by sending me an email to samuelkarlssonorebro [at] gmail [dot] com and by stating the source.